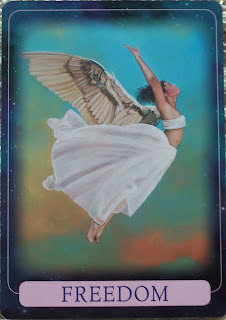 Card of the Day ~Freedom~ The angels guide you to freely express your true thoughts and feelings with love. You may feel trapped right now by life conditions. 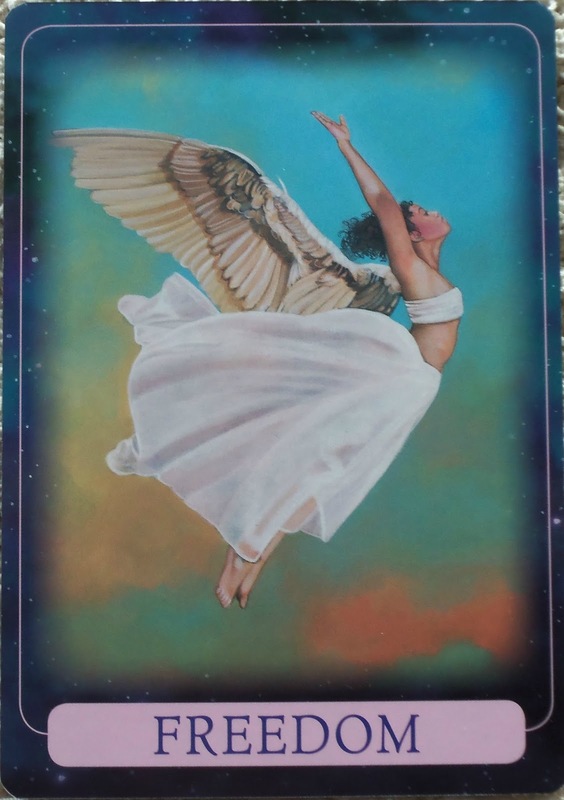 This card is guidance from the angels to realize that you are the only jail keeper that ever surfaces in your own life. Whenever you realize that you have the power to be free, freedom follows. Everything that you do in your life is by choice, and you are free to choose again. Even prisoners are free to choose their thoughts so that they feel peace and happiness under any conditions. The next time you begin a sentence with the words, “I have to ___,” please stop. Ask God and the angels to show you some alternatives. They will either help you complete the task from a loving mind-set so that you don’t feel trapped, or they will guide you to do something else that you will love. It really is true you know, we keep ourselves in prison and we can’t point our fingers at anybody else. Once we understand this concept and truly start living our lives the happier and more fulfilled we will become. Lets all take our key to the prison door and open it up. Be free my friends. I love you all!